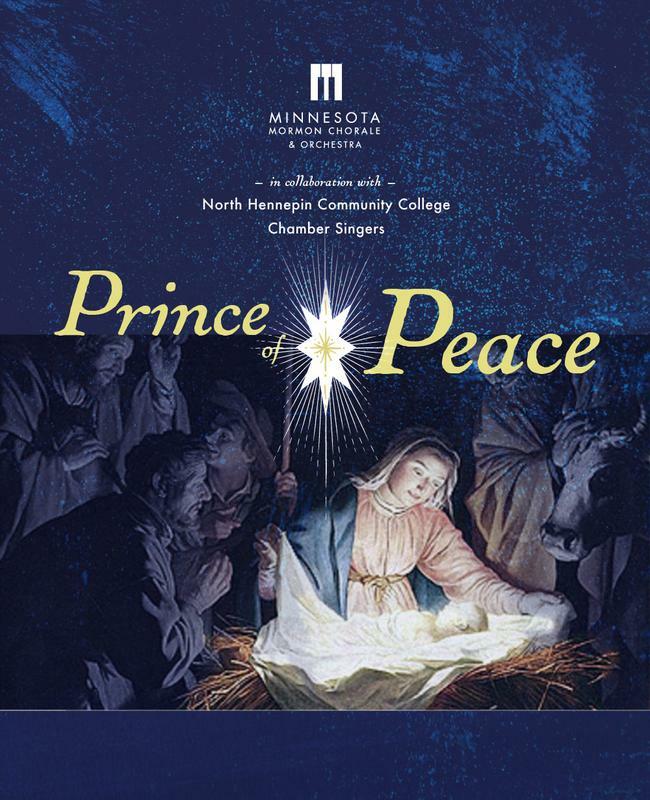 The Minnesota Mormon Chorale & Orchestra, together with choir of Our Lady of Peace, Minneapolis, present Rob Gardner's Lamb of God, an oratorio featuring choir, orchestra, and 13 soloists, depicting the final days, death, and resurrection of Jesus Christ. The Minnesota Mormon Chorale & Orchestra present Rob Gardner’s “Lamb of God,” a retelling of the final days of Jesus Christ’s life, His death & resurrection through beautiful vocal and orchestral settings and narration. This session will be held at the St. Paul Stake Center in New Brighton. The Minnesota Mormon Chorale & Orchestra present Rob Gardner’s “Lamb of God,” a retelling of the final days of Jesus Christ’s life, His death & resurrection through beautiful vocal and orchestral settings and narration. 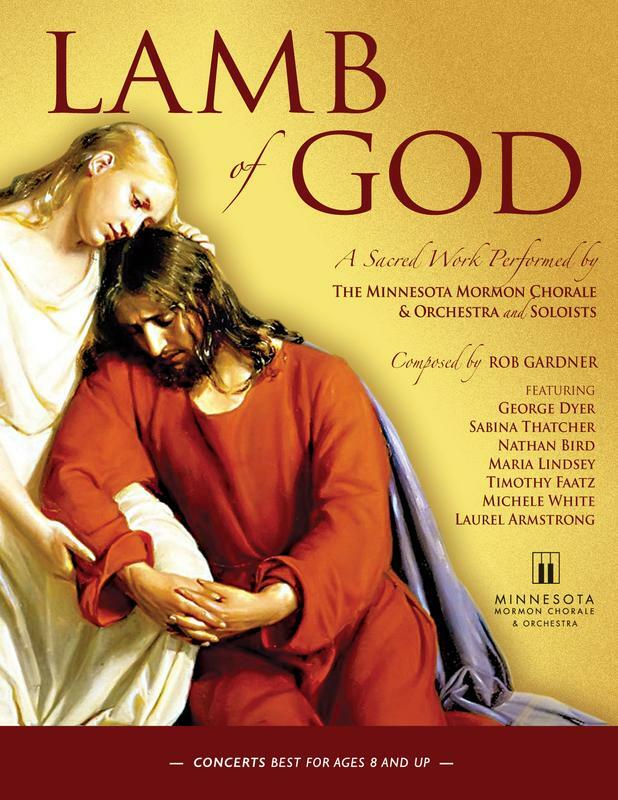 The Minnesota Mormon Chorale & Orchestra, together with the Choir of the Cathedral of Saint Paul, presents Rob Gardner's Lamb of God, an oratorio featuring choir, orchestra and 13 soloists depicting the final days, death, and resurrection of Jesus Christ. 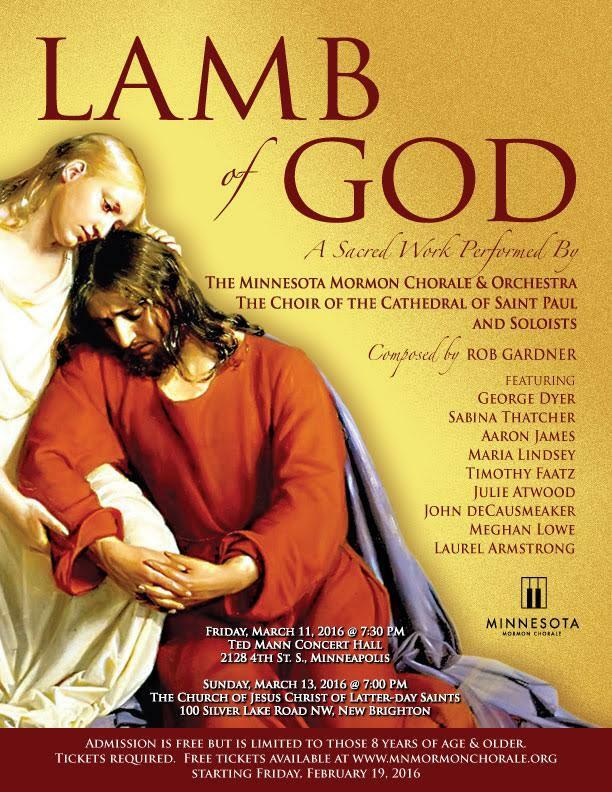 The Minnesota Mormon Chorale & Orchestra, together with the Choir of the Cathedral of Saint Paul, present Rob Gardner's Lamb of God, an oratorio featuring choir, orchestra, and 13 soloists, depicting the final days, death, and resurrection of Jesus Christ. 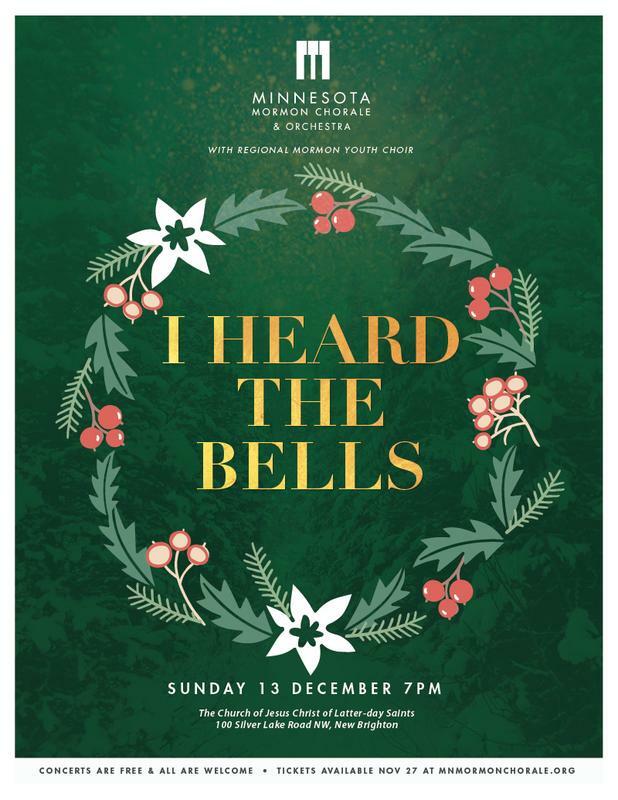 The Minnesota Mormon Chorale & Orchestra, in collaboration with a multi-stake regional youth choir, present I Heard The Bells, a Christmas concert. 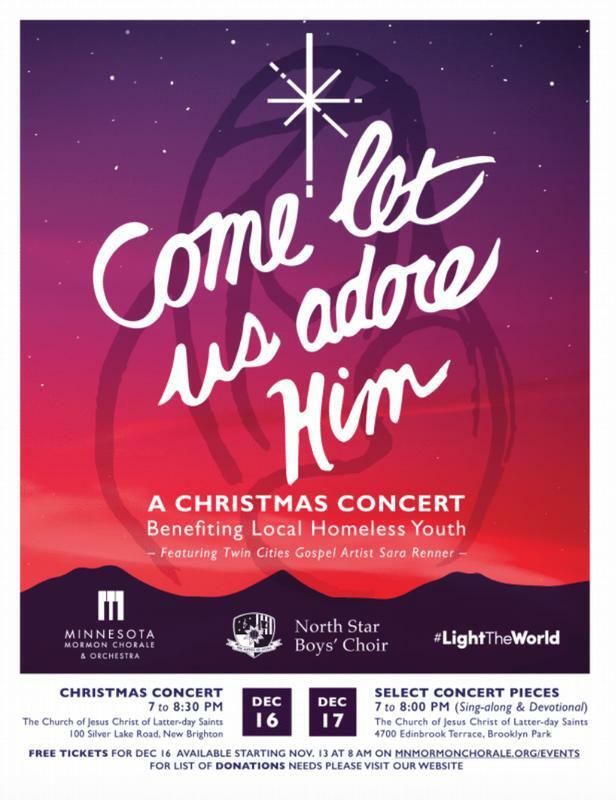 Come and enjoy the spirit of Christmas through beautiful music! All concerts are free and open to the public.